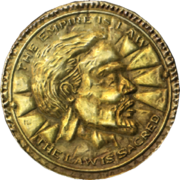 Gold is the standard currency of Tamriel. 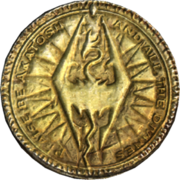 Although officially the coins are called Septims, gold is the name used in your inventory and many other places. Gold is also a metal that can be mined, smelted, and forged into jewelry. 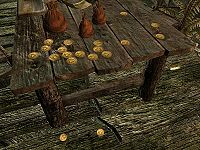 Gold ore and ingots cannot be directly minted to convert them into currency, however, many merchants (Blacksmiths, Jewelers, and General Goods merchants) will buy them from you. Gold 0000000f 0 1 An individual coin. Coin Purse 000d790c 0 0 A small coin purse. Picking one up gives you 6-23 gold. Coin Purse 000d8e7f 0 0 A medium-sized coin purse. Picking one up gives you 12-37 gold. Coin Purse 000d8e80 0 0 A large coin purse. Picking one up gives you 23-56 gold. xx018488 A pile of coins. Activating one gives you 80-120 gold. These are only found in two locations: Gyldenhul Barrow and Fahlbtharz. 3 Gold Ores are obtained by mining Gold Ore Veins. They cannot be purchased. 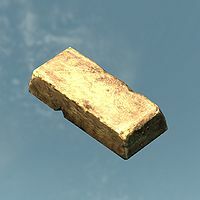 1 Gold Ingot is obtained by smelting 2 Gold Ores. They cannot be purchased. Gold Smithing to create jewelry is possible from the start of the game, without unlocking any Smithing perks. 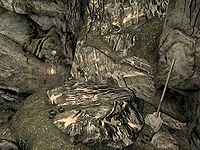 In addition to the following guaranteed sources, gold ore may be randomly found in Falmer loot starting at level 10. In addition, gold ore can be created by transmuting Silver Ore. There are a total of 78 veins, 23 ores, and 48 ingots at guaranteed locations. Many individual veins are scattered outside across Tamriel. Only notable locations are included in the following list, in particular places where multiple veins are located near each other and interior areas containing veins. The Gold Veins category contains a more complete list of places containing single veins, and all exterior ore veins are shown on (map). The Pale Forsaken Cave 7 Two ingots are located on a table, before the large room at the north end of the cave. Haafingar Broken Oar Grotto 2 Located west of Broken Oar Grotto, on a large island marked with a red flag. Gold items can be forged from the start of the game, without the need to unlock any Smithing perks. The gemstones not listed here can instead be used to create Silver jewelry. Septims can't be dropped. However, they can be stored in containers. 1 Gold Ore is needed for the quest Ringmaker. 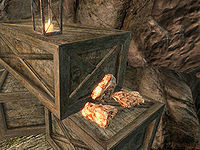 Gold Ore can be sold to Pavo Attius for the quest Mine Ore.
1 Gold Ingot is needed at Workbenches to improve Konahrik. This page was last modified on 22 June 2018, at 04:52.